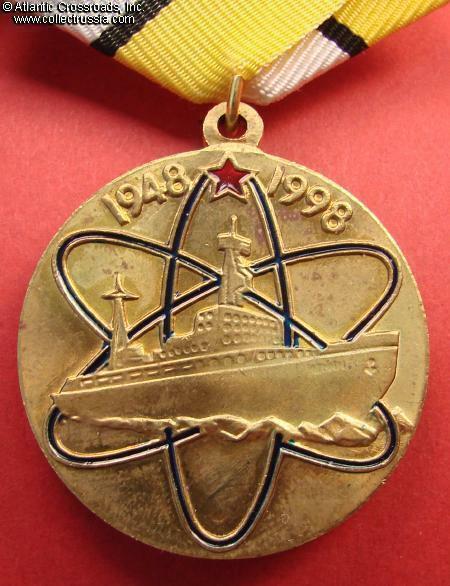 Soviet Nuclear Industry 50th Anniversary Medal. 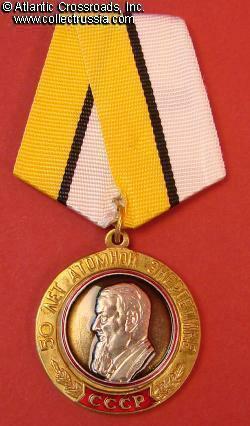 Brass and enamel, 2-piece construction. 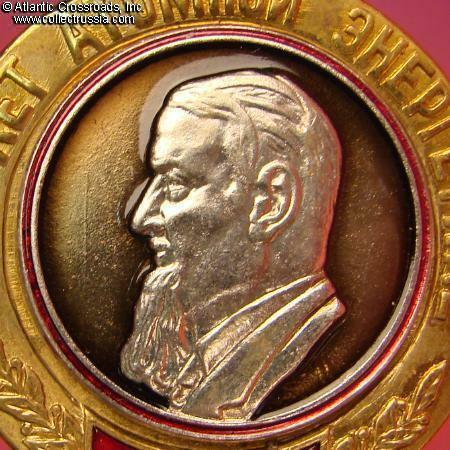 Medallion shows bust of Academic Kurchatov (father of Soviet nuclear bomb) and, on reverse, first Soviet atomic icebreaker Lenin. 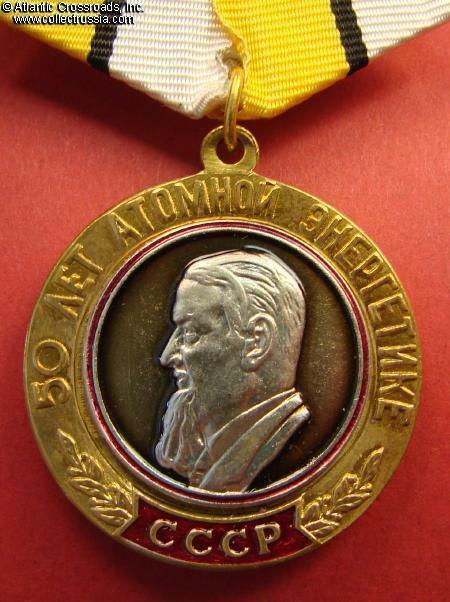 One of the Alternative medals established by the shadowy "Congress of Peoples Deputies of the USSR" - not recognized as official award by the current Russian government. Excellent condition.